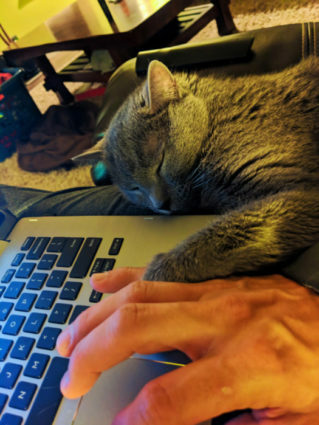 You know how there are those projects that you always want to do but you keep putting off? One of them for me was writing a book. I never really wanted to write a novel or scholarly work, but I’ve always wanted to make a book for kids. And I did it! 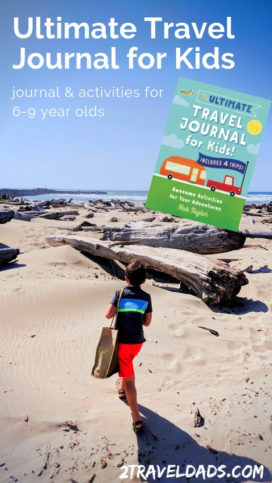 The Ultimate Travel Journal for Kids is live on Amazon for pre-order and hits the shelves May 21, 2019. I’m really excited about it. “But what’s this book about?” Well, it’s a travel journal for kids (or adults that want an easy way to journal). “Why not make a travel guide?” Well, we might just work on that as a joint project, both Chris and I, but for now this was the best option and what I was really passionate about working on. So, here’s the story of the Ultimate Travel Journal for Kids. 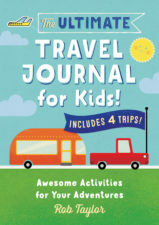 Why make a travel journal for kids? Who is this travel journal for? 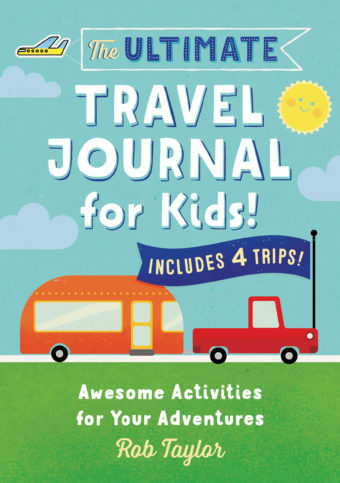 Where can I get the Ultimate Travel Journal for Kids? 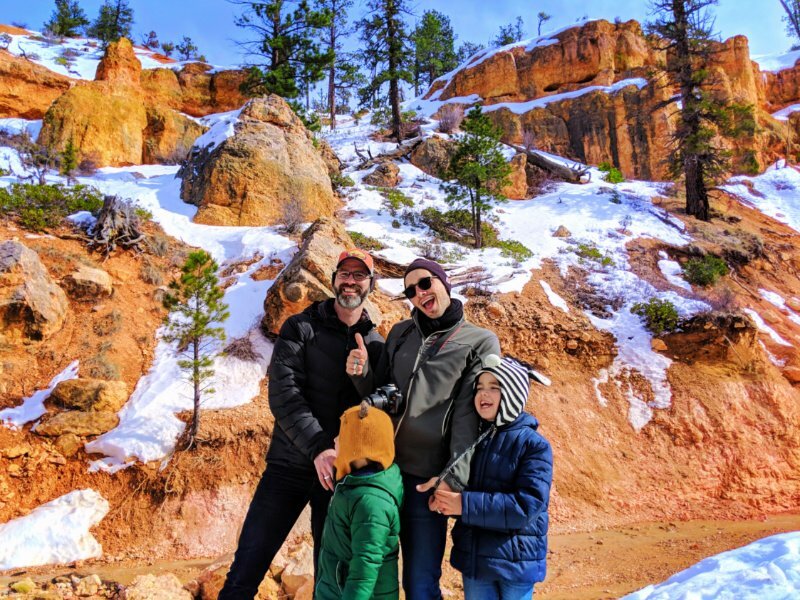 If you’re a parent or have spent a lot of time with kids, you know that it can be difficult to get them to genuinely engage and have meaningful conversation about their day or what they’ve been doing. 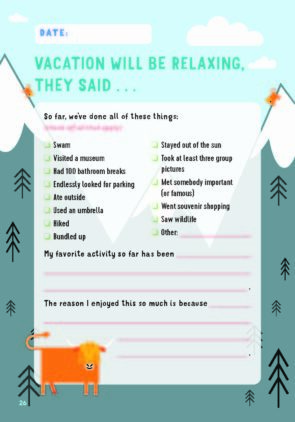 When I started to write the prompts for the Ultimate Travel Journal for Kids I had to think about the questions I ask the boys when we’re traveling or when we’ve been apart for a few days. I considered what they get excited to talk about and what topics are like pulling teeth. As a dad, something I want to understand with my kids more than anything is what makes them happy and piques their interest. Conversation about what is going through their minds and what they think about what we’re doing while traveling can be tricky. I’m totally up for the effort, but anything to make it easier AND to document what they’re thinking about is a win in my book. And that’s why I’ve worked to create this awesome journal. I’ve tested it out with our oldest, and Oliver is a journaling champ, so hooray! It was strange to work with an editor and collaborate on what kids enjoy and will engage with, but actually also really cool. 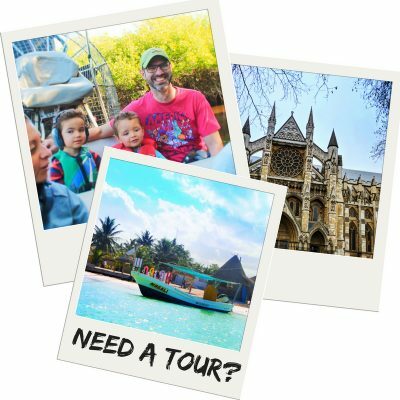 I got to partner up with a cool group of people that understood the struggle of traveling with kids and keeping them engaged. As I would think of journal prompts and activities, my editor would question them and give ideas that would spiral into other activities. It was really interesting, both seeing things change and getting new ideas. Also, designing games that were doable for kids, that was a challenge. That took both adults and kids to test before I had those sorted out. All it takes is stumping your own kid who you know if super smart to take a second look at what you consider kid-friendly challenges and puzzles. Thank goodness for a team that is willing to tell you “You made this too tough” to reel it back a bit. The final product is awesome though and perfect for traveling kiddos. 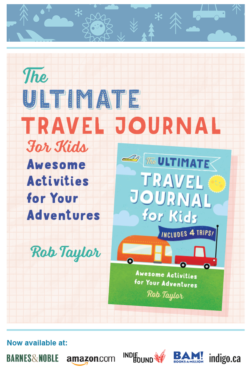 Curious what’s inside the Ultimate Travel Journal for Kids? It’s pretty cool. 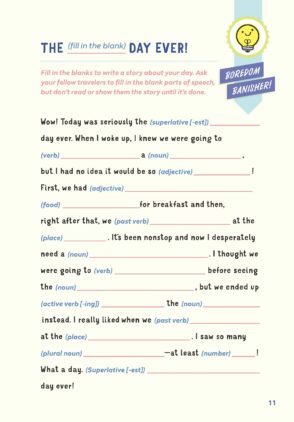 We’ve set it up to provide four different trips of fun and journal prompts. 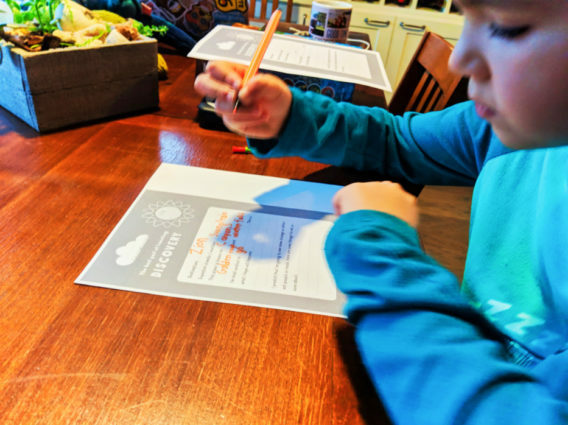 Knowing that travel can range from a few days to a couple weeks, depending on the family, we set up the travel journal for kids that might have a variety or trips in a year. It includes two sets of prompts for 10 days trips and two sets for shorter, four day trips. 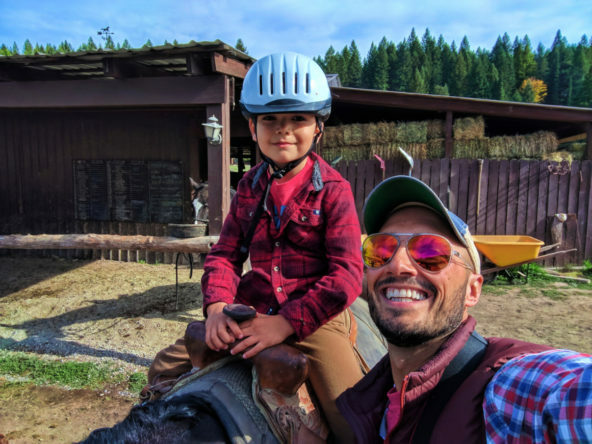 What I think makes the journal special and different, particularly knowing how our oldest works through workbooks and prompts, is that the journal pages each provide a different aspect of travel for kids to think about. 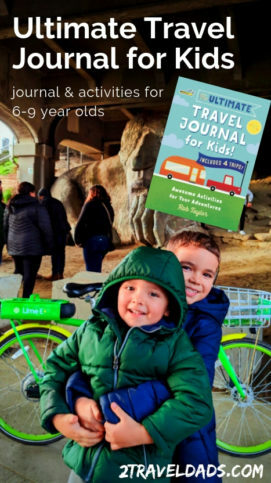 Without considering the larger social issues, the Ultimate Travel Journal for Kids encourages young travelers to think about the people they meet and the foods they try as a part of getting out into the world. Looking at activities and weather in terms of preparation and enjoyment, kids get to evaluate their own feelings and processes. I think what we’ve got is something unique and exciting. And it’s a got number of activities too, perfect for challenging the busy kid-mind. A journal that’s all work and no play is good, but one that includes some stimulation and encourages a different kind of brain activity, now that’s awesome. I know, I’m tooting my own work here, but I think that my editor and I built a really special travel journal for kids. Every kid is different, learning and communicating at different rates. As I wrote the prompts and pages of the Ultimate Travel Journal for Kids I did it with young elementary kids in mind. 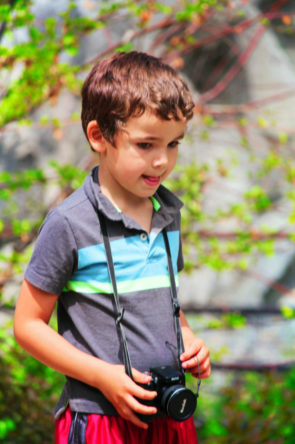 The noted age range is 6 to 9 years old, but it can fit well with kids up to 10 or 11. 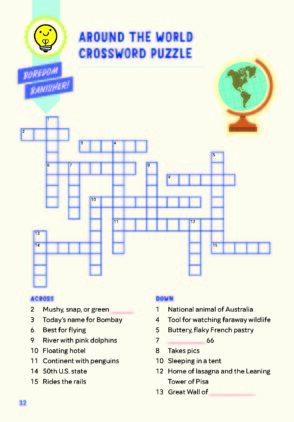 Some of the road games are geared for more playful minds and some are puzzles for patient brains that need to dig in. Also, we’ve included some free space with each of the trip sections for drawing or writing more, for kids to make up their own activities, or just to take notes on whatever inspires them. Hooray, the fun part! Working with a publisher that knows the biz is awesome, because it means that distribution is wide and accessible. 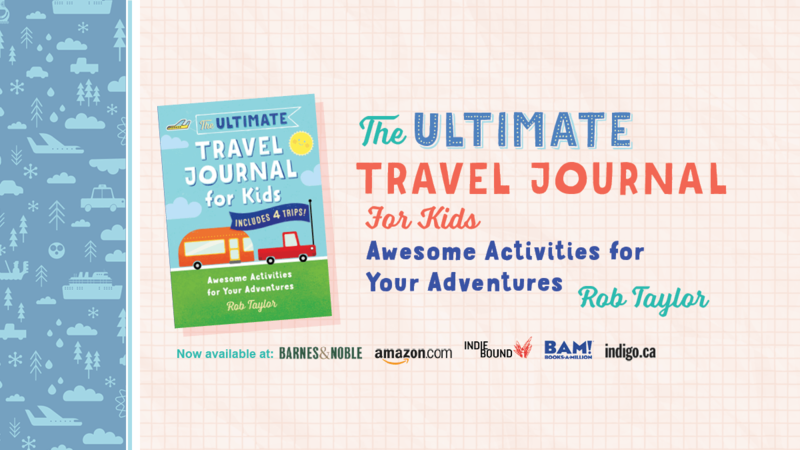 We’ve got the Ultimate Travel Journal for Kids available on Amazon, Barnes & Noble, Indigo Books (coming soon), Indie Bound and BAM! We’ve got it set up to be able to pre-order it and then it goes on the shelve on May 21, 2019. 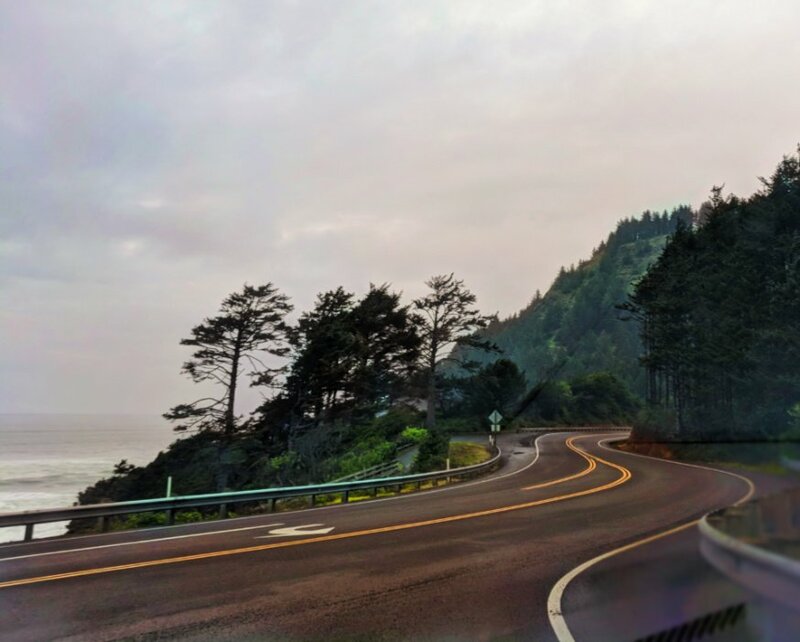 We may do a few small events to launch the travel journal locally, but offering it online is the best way for us to make it available to parents, aunts and uncles, and eager traveling kids all over the globe. We would love for you to share this with friends and family, as it’s been a really fun, meaningful project and seeing it go live is kind of a dream come true. 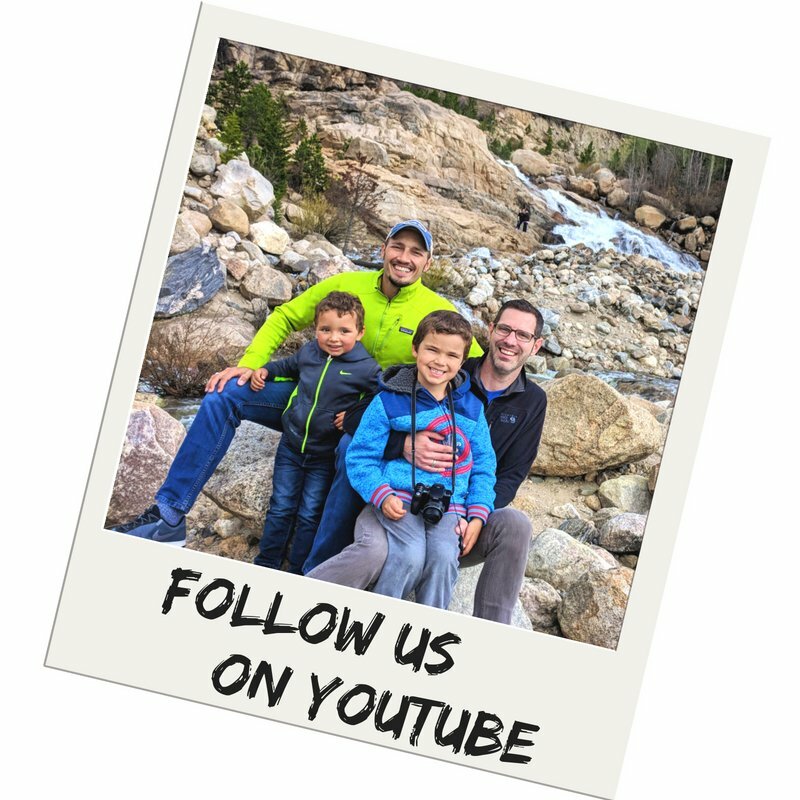 I’d love to hear feedback from parents and kids alike, so feel free to send us a note or leave a comment, particularly as we get to work on our next book project! Want to pin this for your own education, birthday or holiday shopping list? Go for it!! !